and networking: they don’t have connections all over the company, and sometimes they don’t feel authorized to develop them. 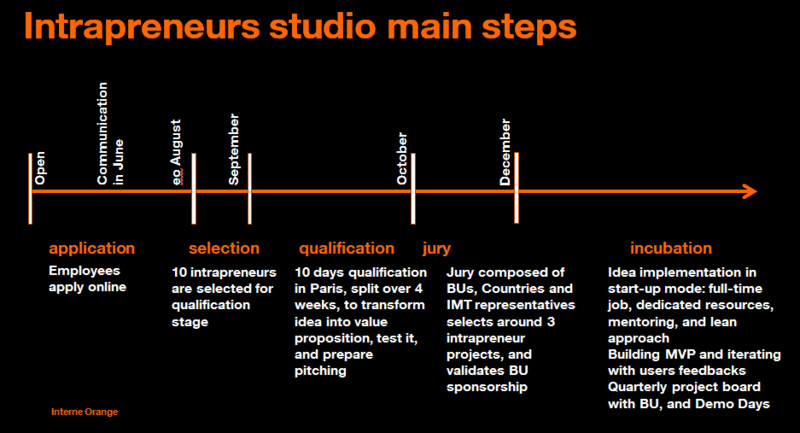 The Intrapreneurs Studio is an intrapreneur project in–itself: it started from the bottom. In this context, you often need to complement your value proposition with a network of allies. 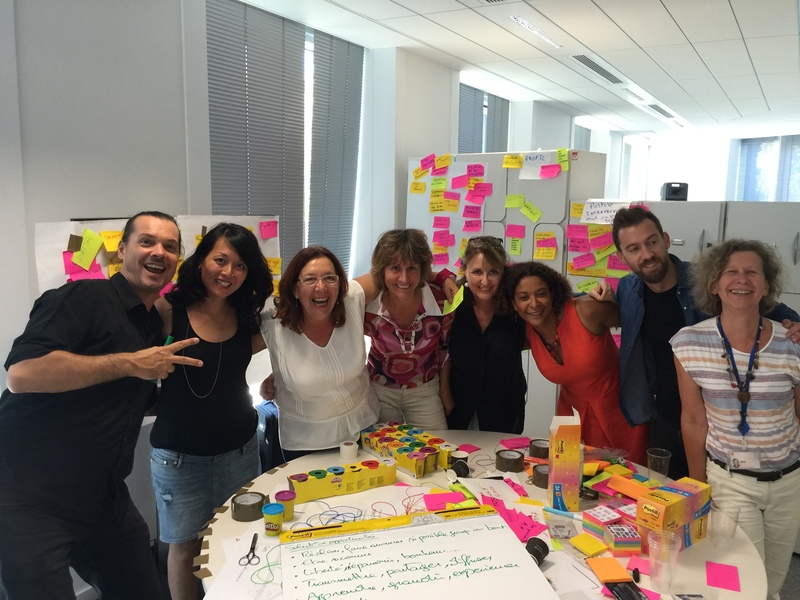 At the same time, Orange HR was initiating a comprehensive program fostering employees’ innovation. 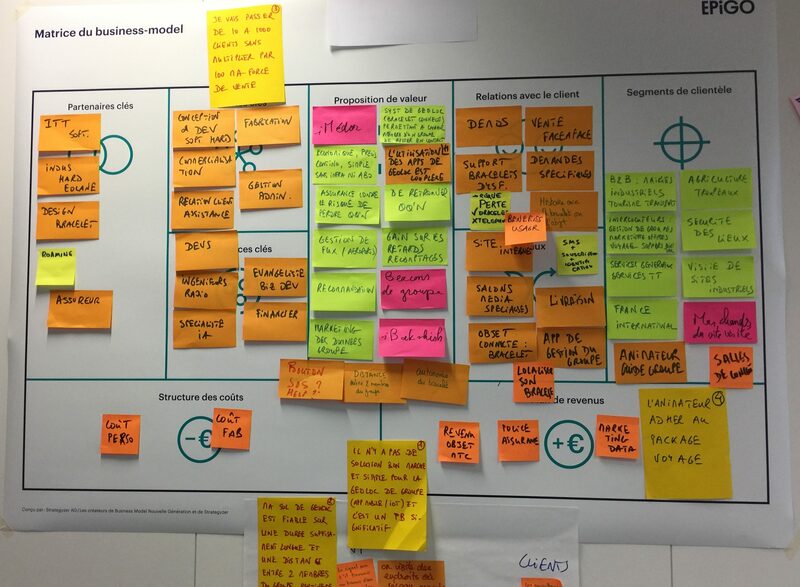 We liaised with Orange HR, and the Intrapreneurs Studio became one of the streams of the HR program: this official joint would facilitate a lot to further adapt HR processes to the intrapreneur journey. We were soon going to assess the sometimes paradoxical correlation between coordination, and autonomy. In November, we were ready to open the doors of the Studio, and welcome the first intrapreneurs, but the overall program was not: should we wait for all the streams to be ready, or would we be entitled to test something in phase-advance? We did not want to force the decision, and we wanted to keep a trustful relationship, so we had an open discussion about it. And we managed to deal the freedom to test the program in pilot phase in January! We conducted a series of benchmark meetings with other intrapreneur program managers to test, and enrich this preliminary agenda. Concurrently, we identified the experts that would help us facilitate the Qualification phase: external experts in Alex Osterwalder, David Ries and Ash Maurya writings, internal practitioners of design thinking and agile, as well as Orange colleagues who had a testimonial about intrapreneurship to share. 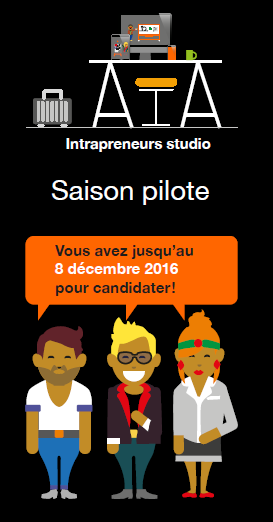 And so we started our first season, the Intrapreneurs Studio pilot, in January, opening the program to all employees working in France: Orange France, Orange Business Services, Orange Innovation, Orange Headquarters. Applications could be completed online, answering simple questions to describe your innovation, the market targeted, the synergies with Orange, the business unit sponsoring you, why you would be the best candidate to accomplish this mission, and what you were expecting from the program. 3 intrapreneurs were selected to develop their idea in the Incubation phase: a next-gen video communication service, a 4G LTEM connected sensor to locate daily objects, and a new distribution channel between Orange salesforce and small-business IT suppliers. Since March, they have started to staff their team, and work on their next MVPs. Hands-on sessions, where intrapreneurs directly apply the concepts of Business Model Canvas and Lean Startup on their projects, had the most profitable impact during the Qualification phase: we will focus on them for the next Qualification season; we will also give the intrapreneurs some time to build their MVPs during the 3 weeks timeline (assuming a MVP is not necessarily a prototype, but can be much simpler, i.e a homepage with a call to action).